I had a great time on Saturday running the Soldier Field 10 Mile, but now it is time for new goals to keep me running through the summer. 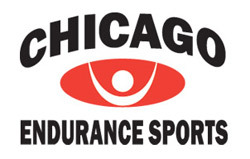 I recently signed up for one of Chicago Endurance Sport's summer training programs because I enjoyed training with them so much this spring and they really helped me improve as a runner for the first time in years. There were some early weekend mornings when I really didn't want to get up and run, but knowing that there was a group expecting me to run with them got me out the door and moving, so I'm hoping the training program will help keep me motivated when temps and humidity start to climb this summer. And the training program won't be my only motivator. I figure that I've successfully run 10 miles, so three more shouldn't be a problem. That's right! I'll finally be tackling a half marathon in September. In the more immediate future, I've arranged a few weeks each month to leave work early enough to run at Fleet Feet Chicago's Chick's Night. I've discovered that I really enjoyed running with others, so why not earn free gear for my miles? I also have a few shorter races that I'm signed up for this summer that I'm running just for the fun of it. The one I'm most excited for is PAWS Run for Their Lives 8k. I'm running the race to raise money for PAWS Chicago, which is where I adopted Hannah. Hannah is excited, too. She loves PAWS because they rescued her and helped her find me. If you have even a dollar to spare, then please consider donating via my fundraising page. Every dollar raised helps PAWS save and care for more homeless animals. Finally, a non running goal for the summer (sort of): get my eating back under control. I've had a lot of success adopting healthier eating habits this year. I thought my battles with junk food and binge eating were finally things of the past. The last few weeks, however, have seen my eating spiraling out of control. My favorite snacks of either fresh fruit with almond butter or vegetables with hummus have given way to packages of cookies and candies. I want to once again regain control of my eating. It is fine if I have the occasional cheeseburger or slice of cake, but lately, these things have comprised the entirety of my diet. Also, I just don't feel all that great lately. I'm feeling tired and run down, and I think all the junk food is part of the problem. I'll be heading to the grocery store of tonight's run to stock up on some healthier options.